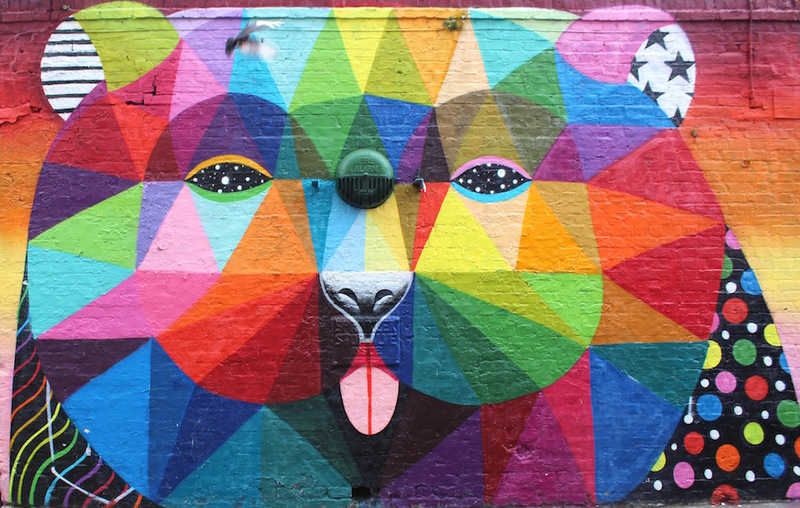 The ShopUp is coming to Shoreditch and we couldn’t be more excited to be heading to this cool, colourful corner of East London. 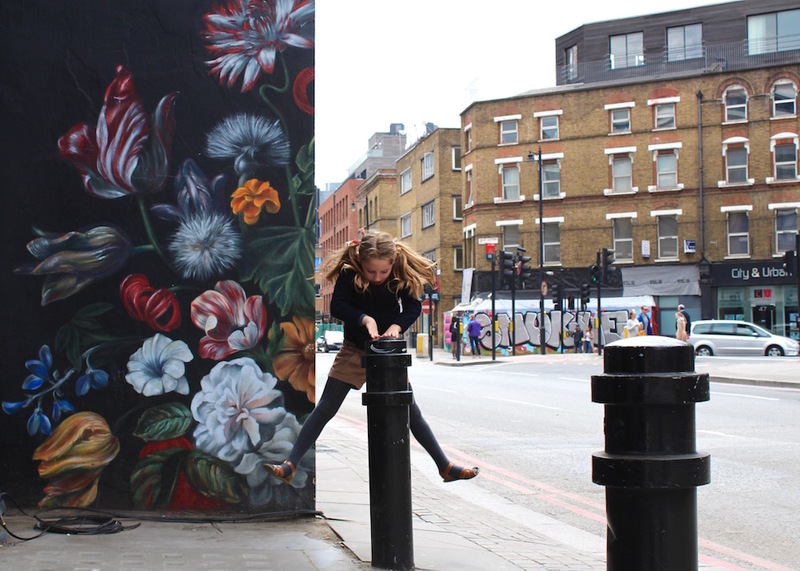 Our two-day pop up market on the 6th & 7th of May will take place at the Old Truman Brewery and will feature collections from many of our unique independent brands. 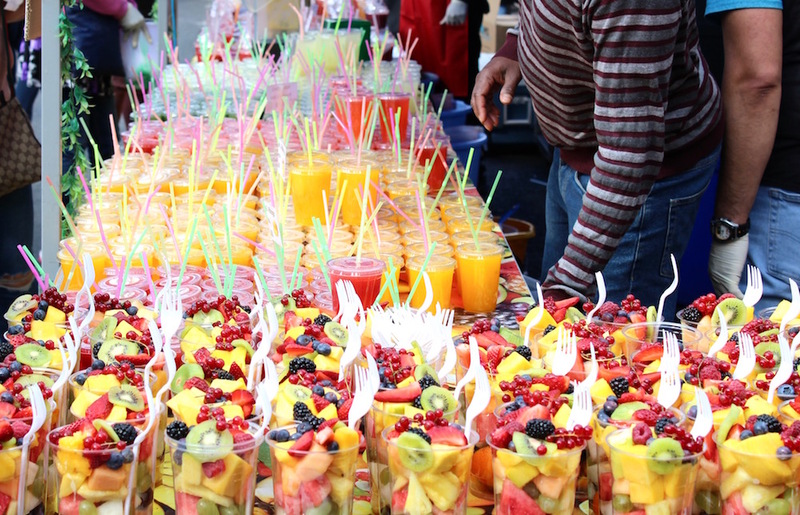 There will be fun activities for the kids and a whole host of delicious food stalls right on the doorstep. 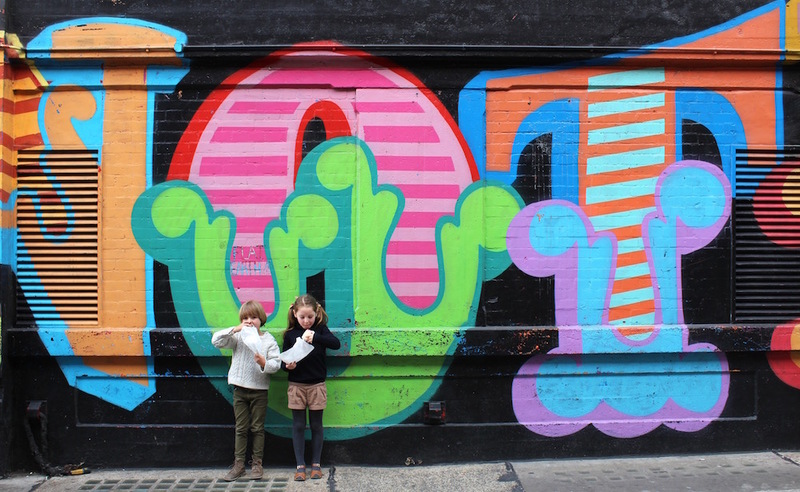 If that wasn’t enough to entice you, we’ve rounded up some highlights of the coolest local spots to eat, shop, and do so why not bring the family along and make a day of it! 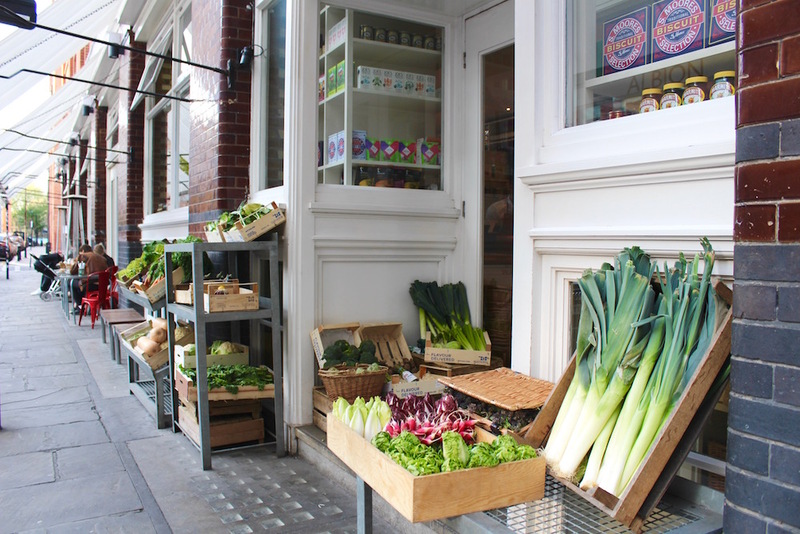 Story Deli (6 Calvert Avenue, London, E2 7JP) — One of London’s best kept secrets has now moved to a new home in Calvert Avenue. The pizzas are still just as crispy and delicious and the pared back, effortlessly cool interior still looks so fresh and unique. Definitely one of the best pizzas in London. 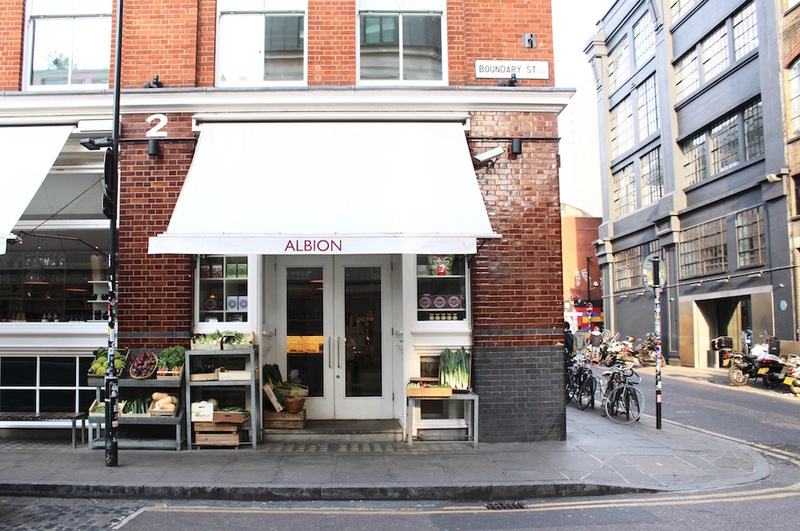 Albion (2-4 Boundary Street, London, E2 7DD) — On the ground floor of the beautiful Boundary Hotel, Albion is a favourite amongst locals. Its breakfasts and bakery counter never disappoint. 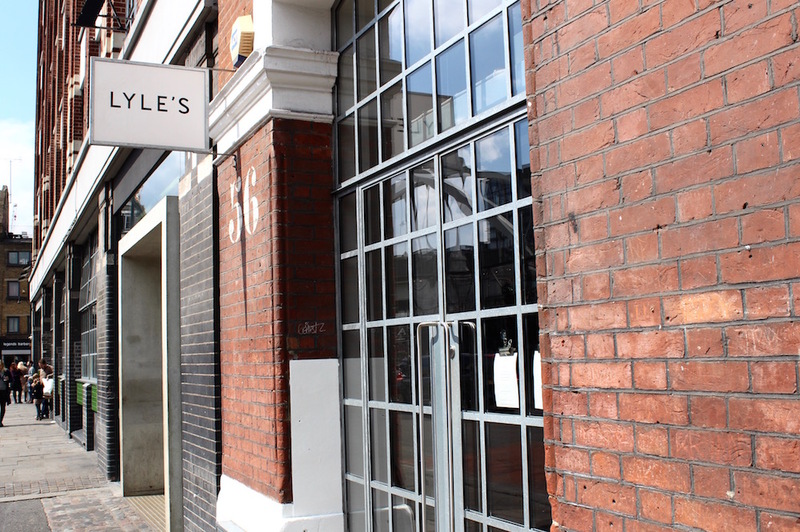 Lyles (56 Shoreditch High Street, London E1 6JJ) –The much talked about Lyles restaurant in the famous Tea Building serves up seasonal British dishes with a twist. Lunches are a la carte but evenings are a single set price menu, it’s popular so booking is essential. 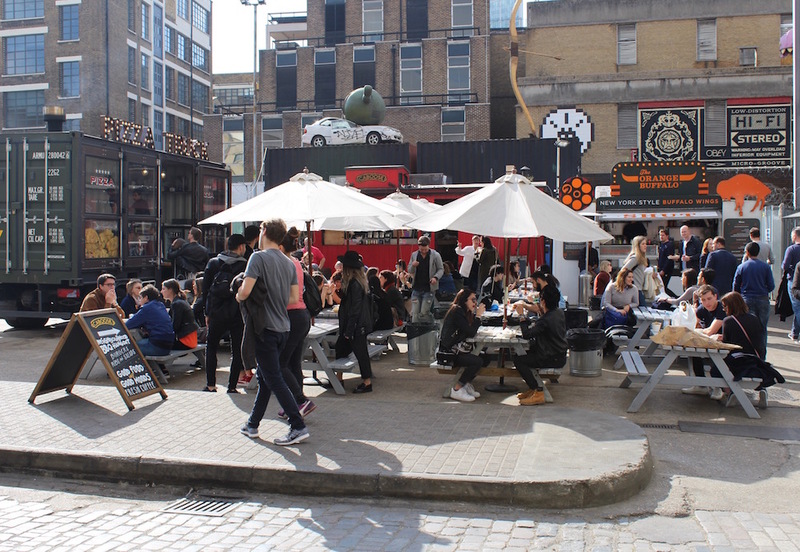 Pizza Purist (Elys Yard, Old Truman Brewery, Brick Lane) — One of the most popular food trucks in the Old Truman Brewery. Authentic sourdough pizzas cooked in an enormous wood fired stone oven that was actually shipped over from Italy. Delicious and perfect for a quick and easy bite. 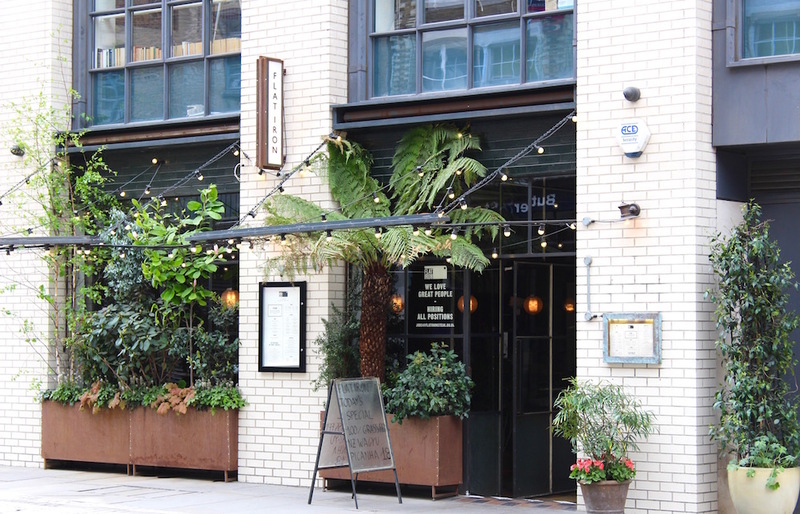 Flat Iron (77 Curtain Road, London, EC2A 3BS) — Steak and chips done perfectly. Simple, well cooked and delicious. 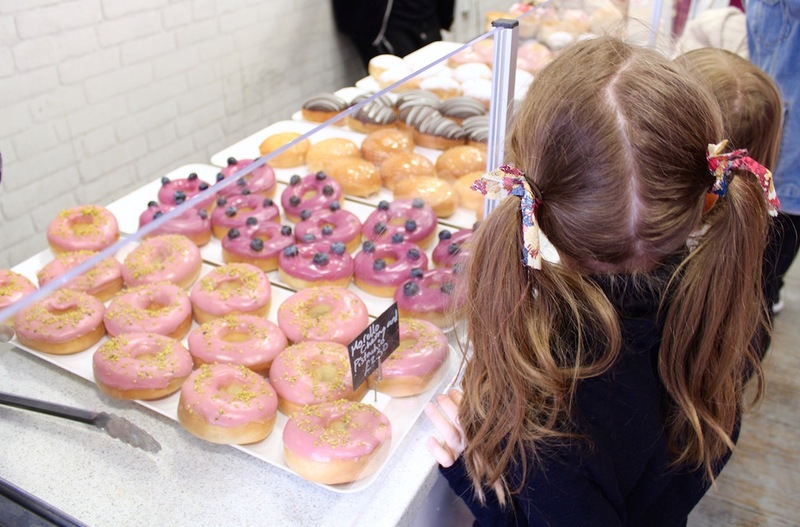 Dum Dums (Unit 31 Box Park, 2-10 Bethnal Green Road, London, E1 6GY) — We all agreed that these were the most delicious doughnuts we have ever tasted. They are baked rather than fried so are far healthier. You can also get crones (croissant doughnut ice creams) with a selection of fillings. So good!! 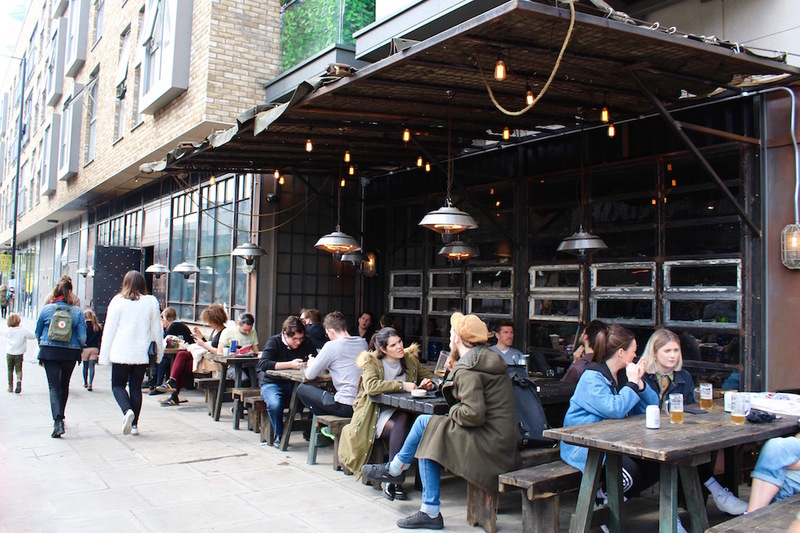 Smokestack (35 Sclater Street, London, E1 6LB) — After building up a cult following with its street food stall in Dalston Smokestack has now opened a bricks and mortar restaurant serving “grown up BBQ food”. The food is seriously tasty and a step up from the usual BBQ fare. The outside tables are also a great spot to watch the comings and goings of the market. 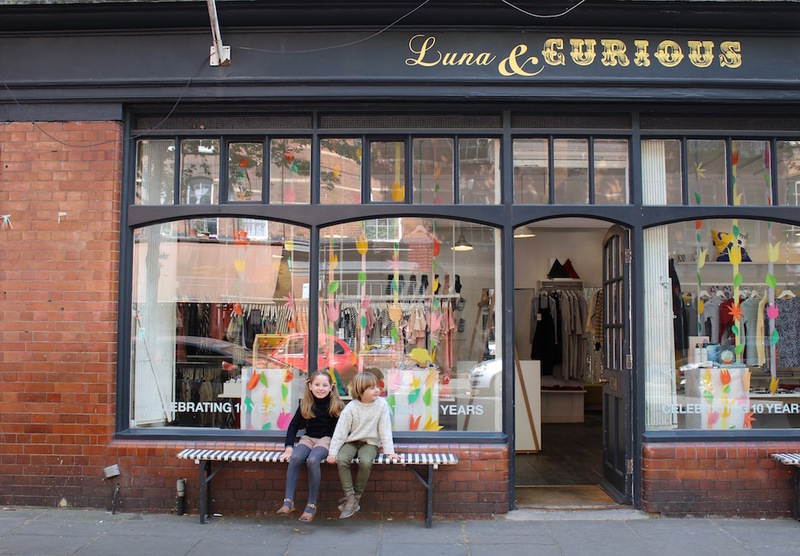 Luna and Curious (24-26 Calvert Avenue, London, E27JP) — A cheerful kids and womenswear shop on one of the prettiest streets in the neighbourhood. 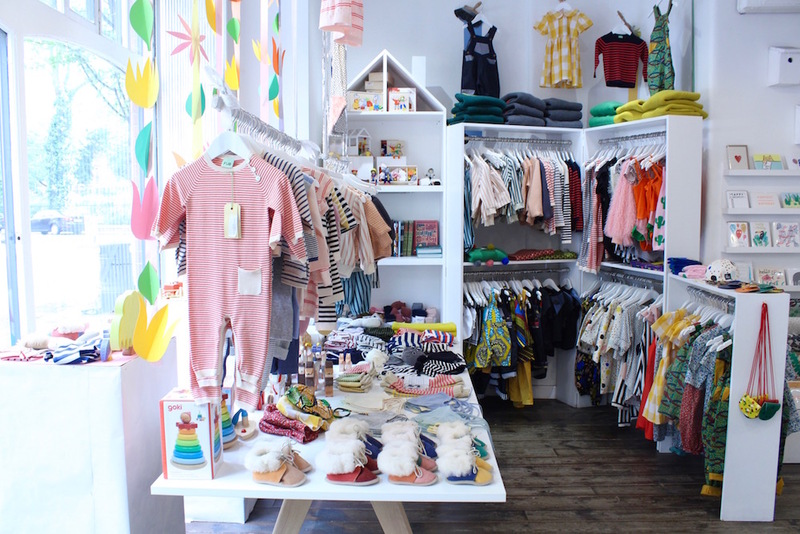 Featuring many British made designs as well as their in-house designed knitwear in bright, bold colours. 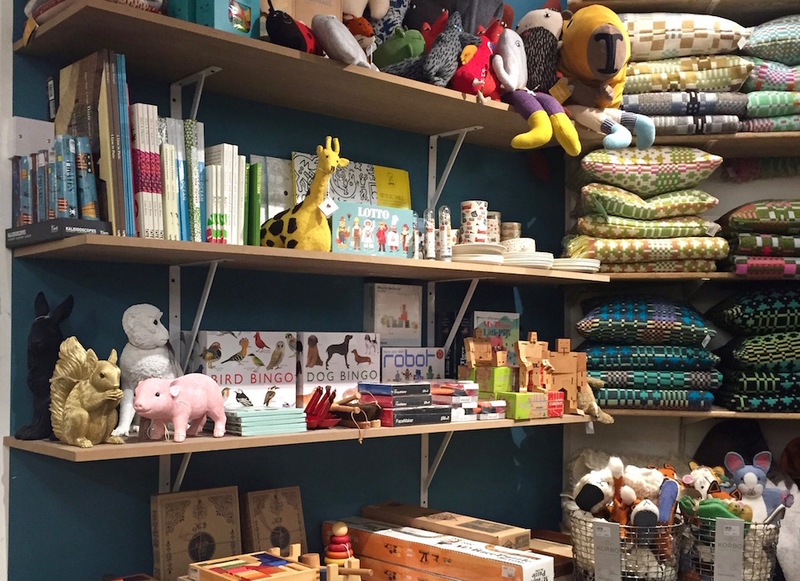 They also sell a fun selection of toys and books and some lovely jewellery for Mum. 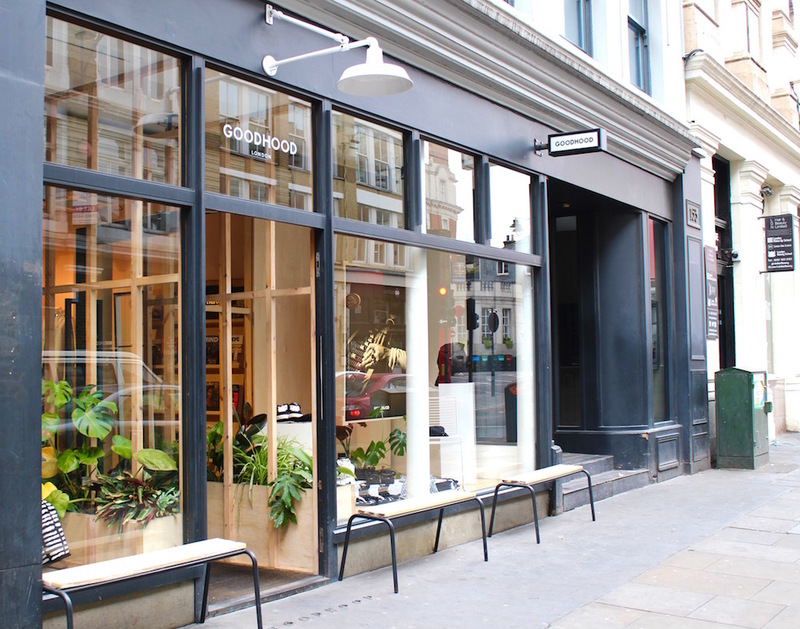 Good Hood (151 Curtain Road, London, EC2A 3QE) — One of our favourite shops in London, this place is a one stop shop for unique stylish homewares, stationary, gadgets and fashion. 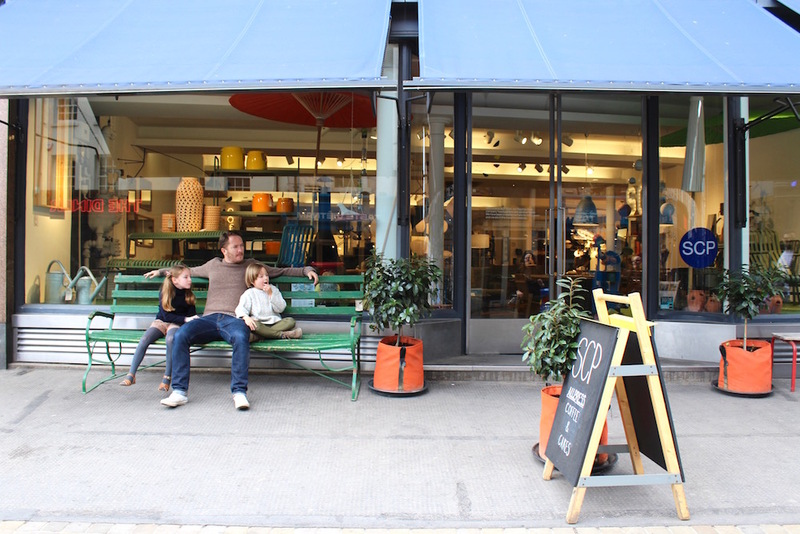 SCP (135-139 Curtain Road, London, EC2A 3BX) — British modernist design at its best, selling everything from furniture to jewellery and a really fun selection of kids toys too. 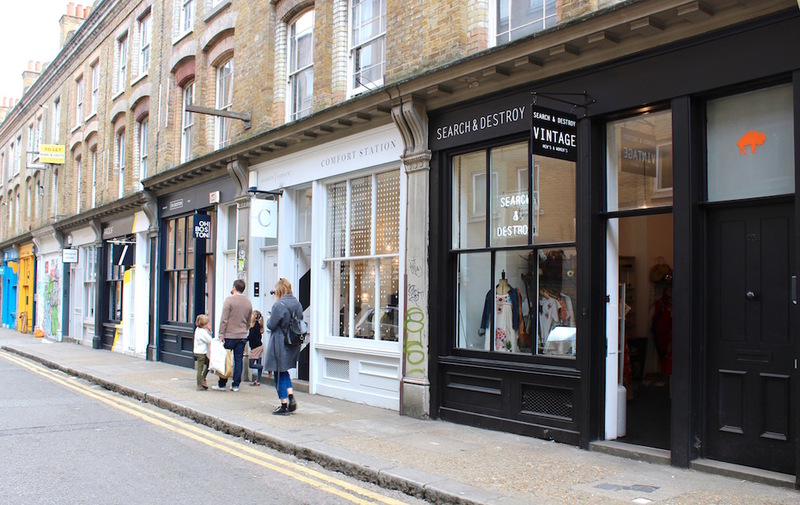 Search and Destroy (20 Cheshire Street, London, E2 6EH) — Vintage clothing stores can be found on every street corner in Shoreditch but Search and Destroy feels that little bit different. 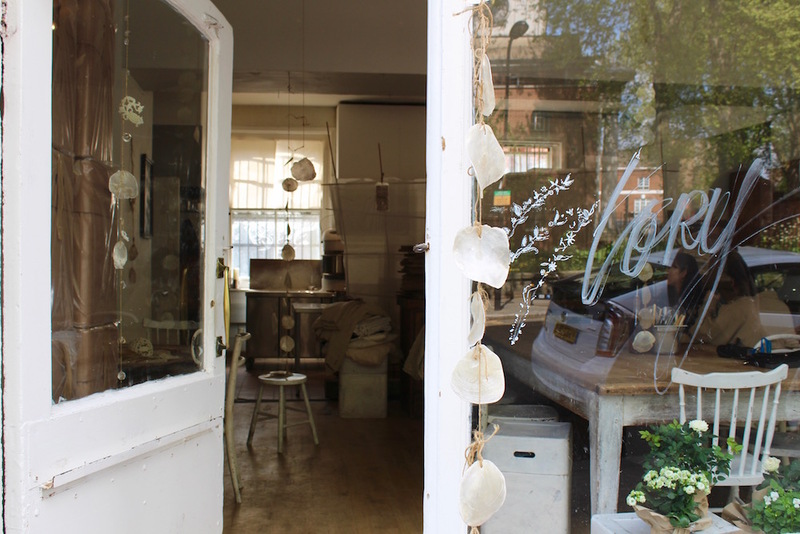 Here you’ll find a carefully sourced selection of unique and beautiful pieces. 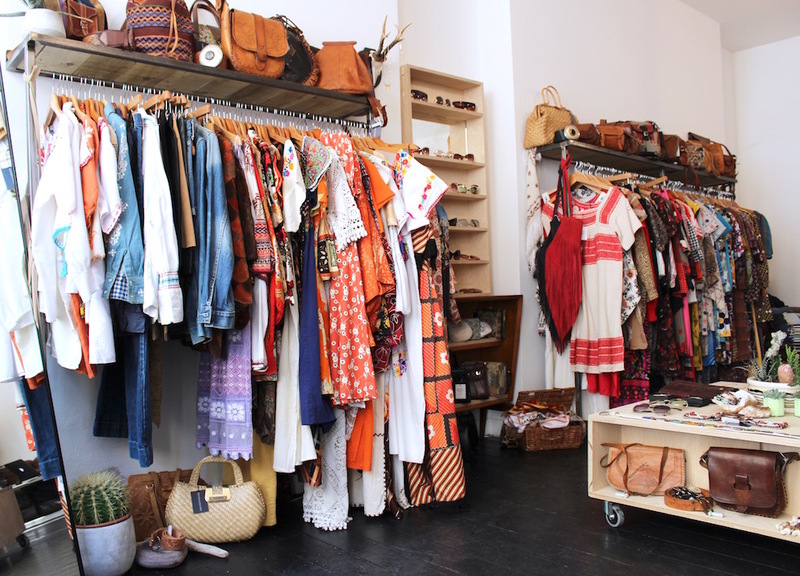 Such as pretty embroidered Oaxacan dresses and hand stitched leather satchels. Such a charming store. 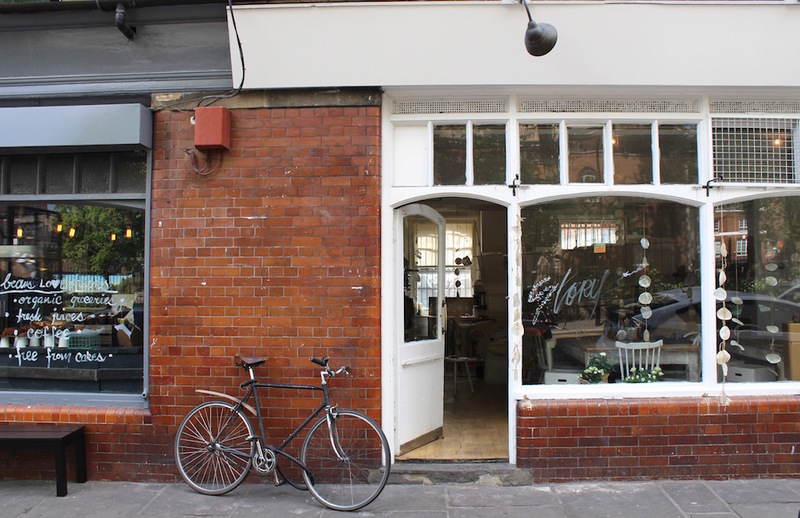 Labour and Wait (85 Redchurch Street, London, E2 7DJ) — Selling a quirky selection of timeless functional products this is one of those stores that you could browse for hours. Everything is beautifully made and has a wonderfully nostalgic feel. 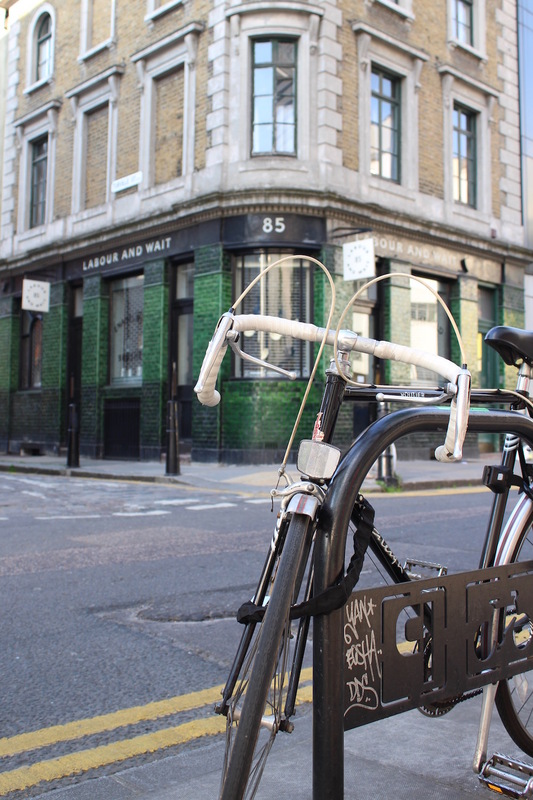 Le Labo (61 Redchurch Street, London, E2 7DJ) — Bespoke perfumes, freshly blended in personalised bottles. The smell of this place alone is worth a visit. 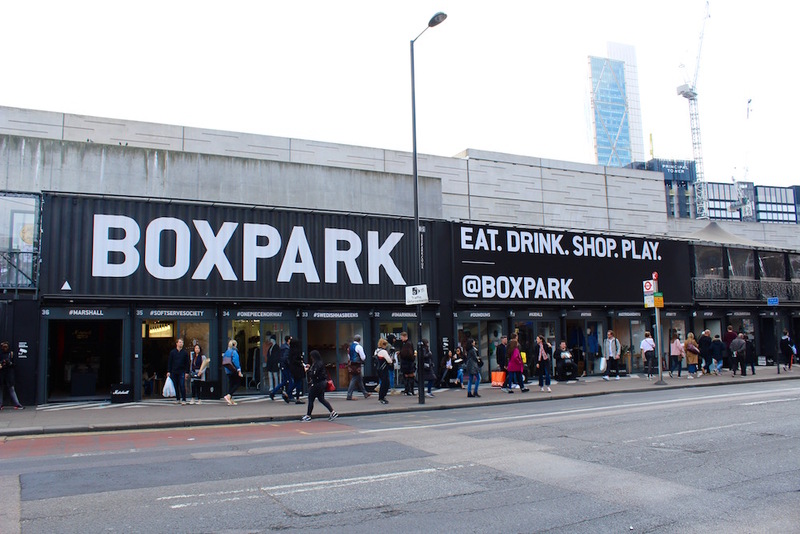 Box park (2-10 Bethnal Green Road, London E1 6GY) — Boxpark describes itself as the worlds first pop up mall. 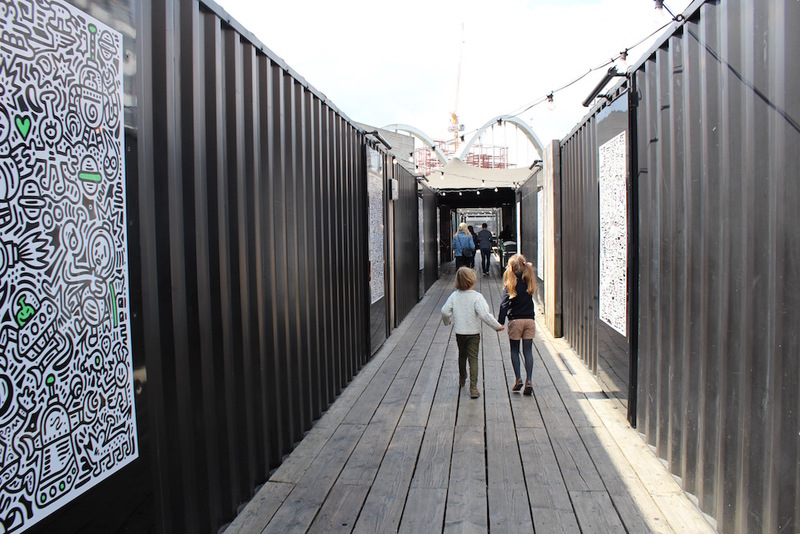 Shops are housed inside a complex of repurposed shipping containers, all linked together beneath a giant street food market. 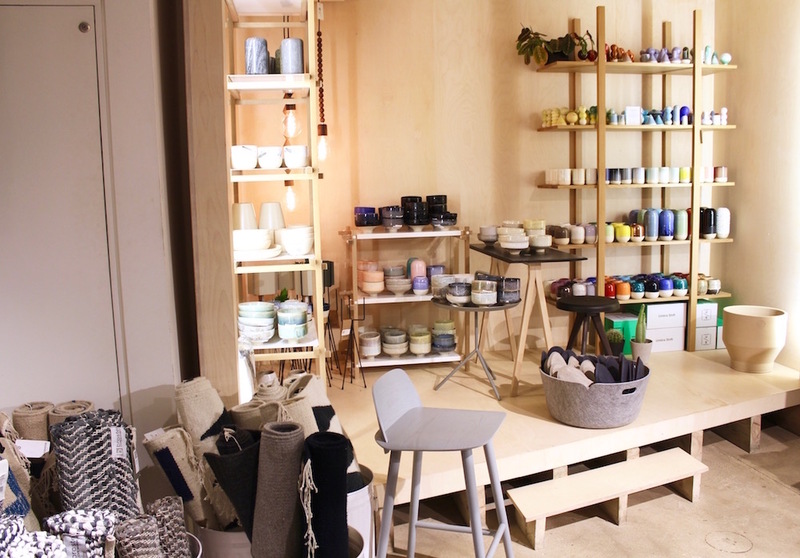 Such a clever and unique idea to showcase up and coming independent brands. 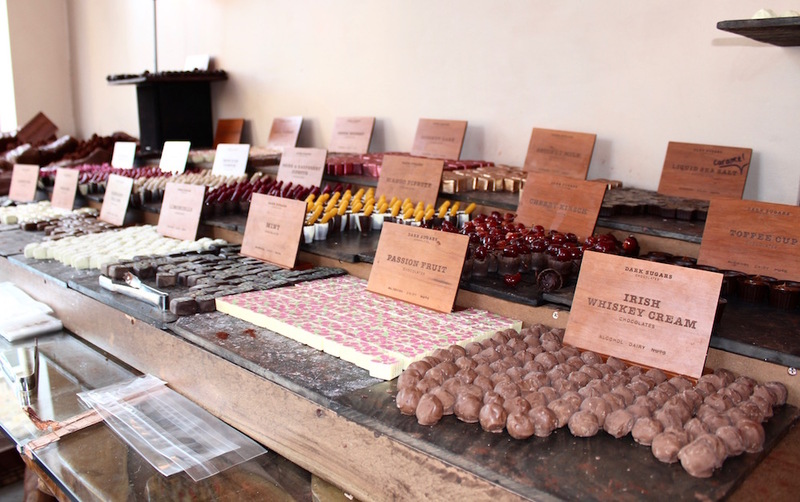 Dark Sugars Chocolates (141 Brick Lane, London, E1 6SB) — This incredible chocolate shop has to be seen to be believed. We always drop in here for a tasty treat whenever we are in the area. Set up by a Ghanaian lady who spent years travelling South America and West Africa in search of the perfect cocoa. Its a chocolate lovers dream and well worth a visit. 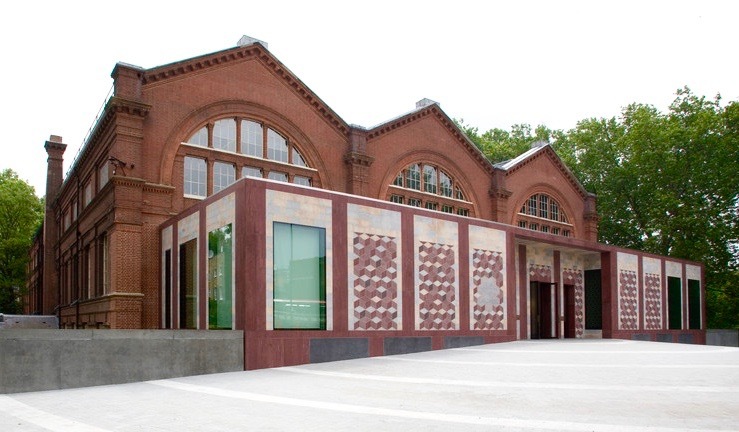 V&A Museum of Childhood (Cambridge Heath Road, London, E2 9PA) — There is no where else quite like this wonderful museum! 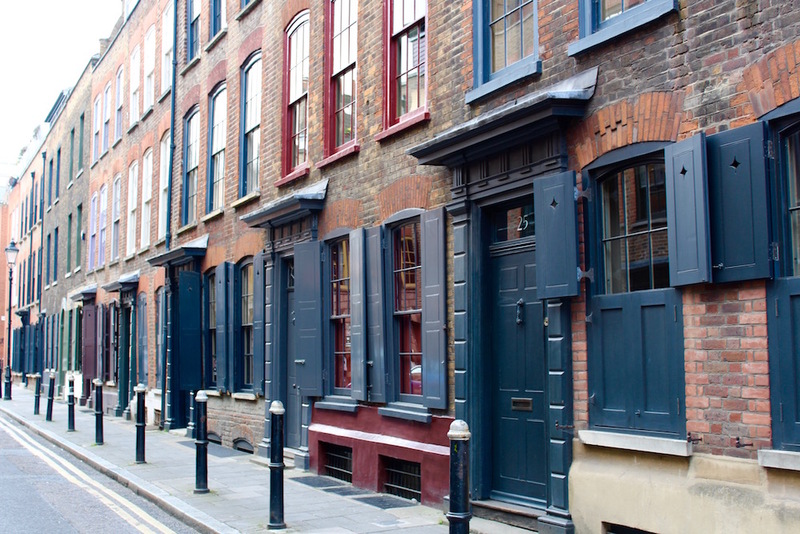 It’s home to one of the largest collections of children’s toys and games in the world, including some of the world’s most beautiful doll’s houses from times gone by. Children will love seeing toys that their parents and grandparents grew up playing with and I guarantee you’ll leave feeling more than a little nostalgic too. 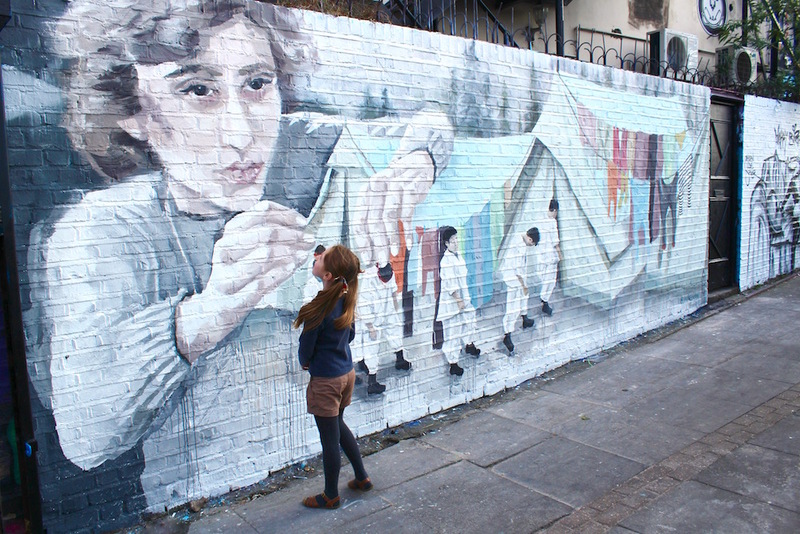 Check out their website for up to date information on their extensive range of family activities and events. 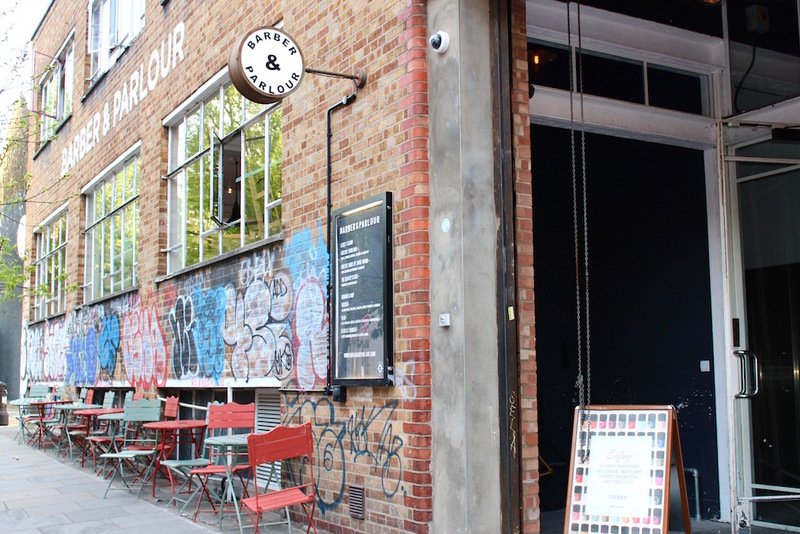 Barber and Parlour (64-66 Redchurch Street, London, E2 7DP) — This cavernous old warehouse on the corner of Redchurch street is Soho House’s newest concept in male and female grooming. Not only do they serve excellent coffee in their laid back ground floor cafe but the beauty treatments here are fast and surprisingly cheap too. Spitalfields Market (Brushfield Street, London, E1 6AA) — Market traders have been coming to Spitalfields for over 350 to sell their wares. 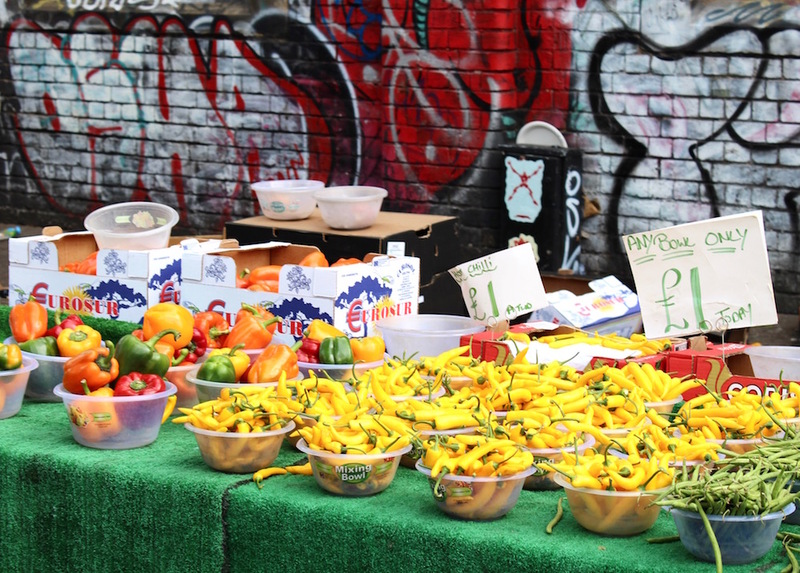 Where fruit and vegetables once stood, London’s oldest market today now showcases everything from art and crafts to fashion and food. 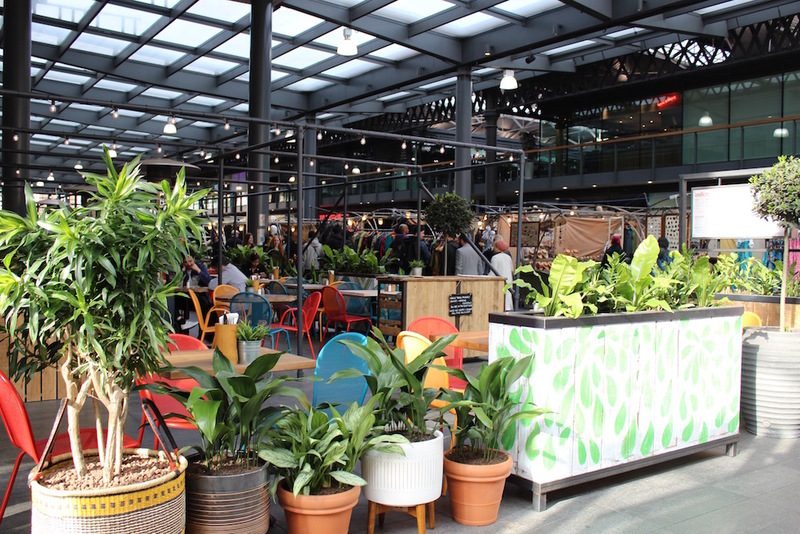 As well as market stalls you’ll also find a great choice of restaurants and shops. 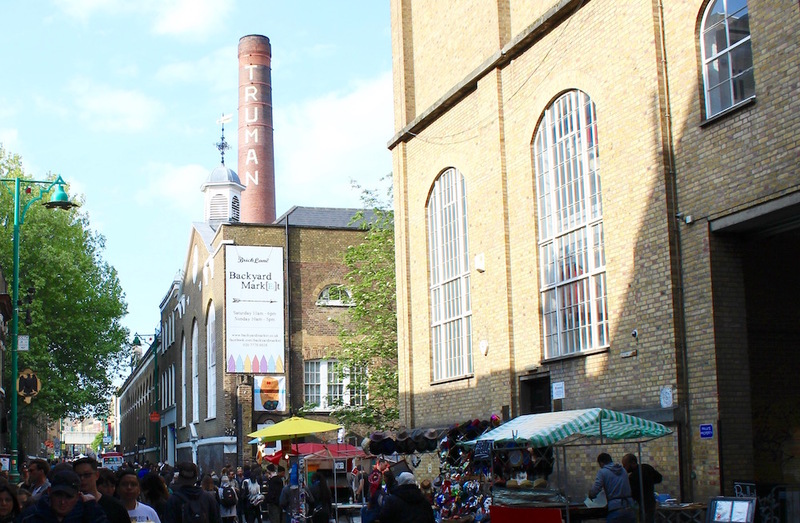 The Old Truman Brewery and Brick Lane Market (Brick Lane, London, E1 6QR) — With almost every street food stall you can think of Brick Lane and the Truman Brewery are a foodie’s heaven. 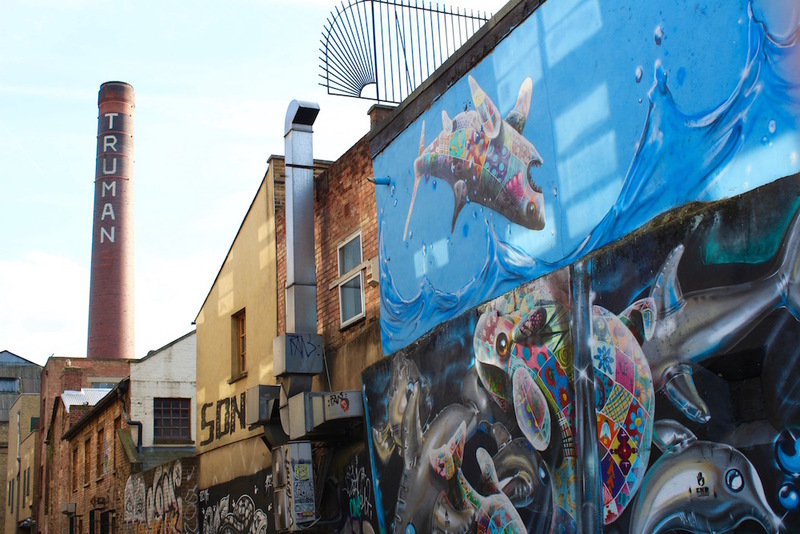 You can also find vintage goods, art and fashion inside the Truman Brewery’s various indoor markets. 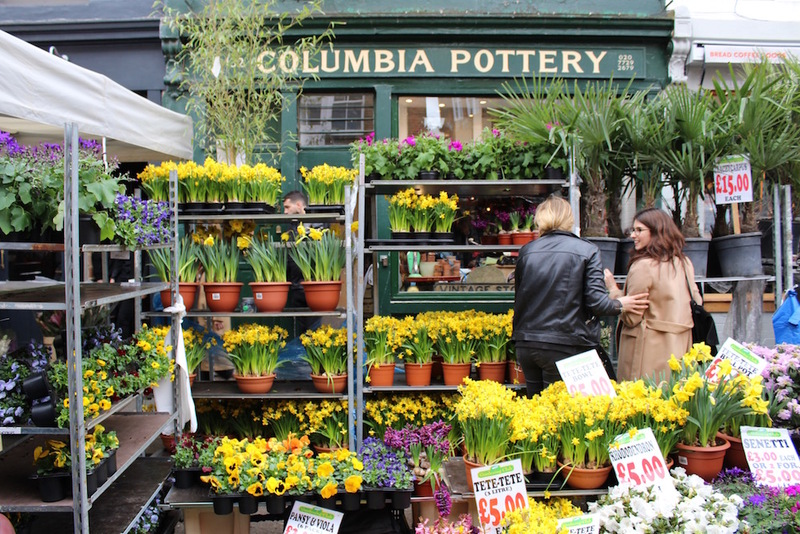 Columbia Road Flower Market (Columbia Road, London, E2 7RG) — The famous Columbia Road Flower market is such a fun and colourful experience. 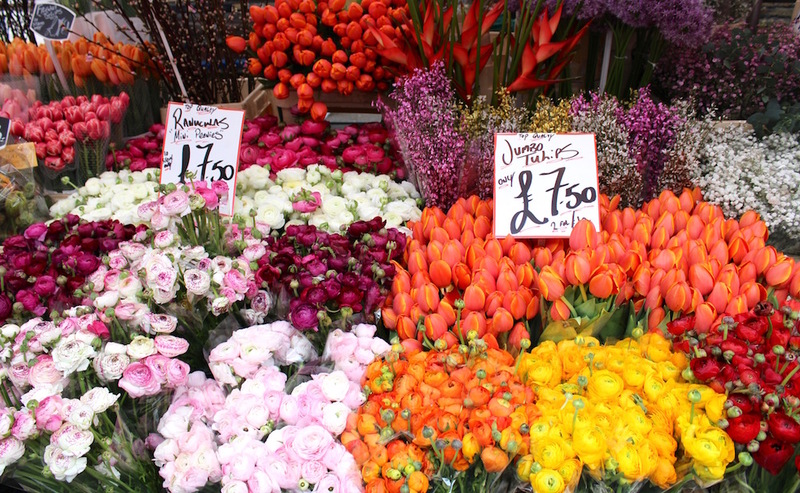 Every Sunday the whole street comes to life with the buzz of market traders and the vibrant sights and scents of the of flower stalls. You can pick up some great bargains too so take plenty of empty shopping bags. 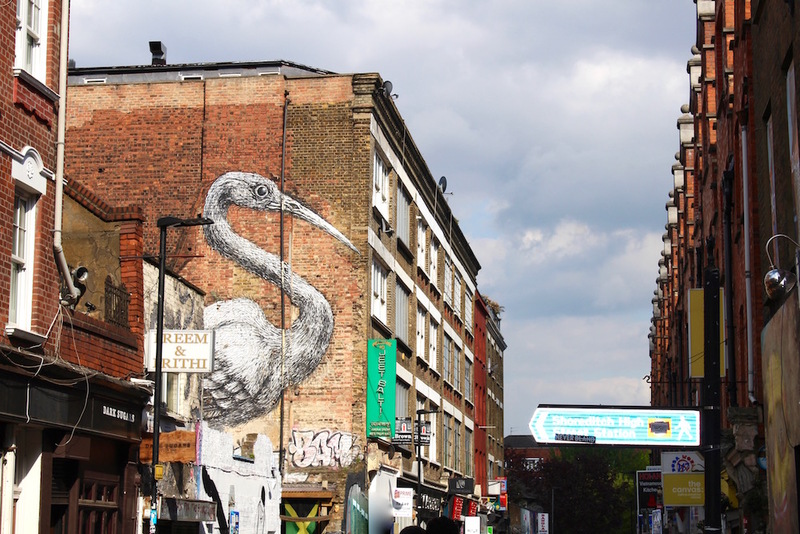 Regents Canal — Take a stroll along the peaceful and picturesque Regents Canal with its colourful houseboats and quirky cafes and restaurants scattered along the towpath. 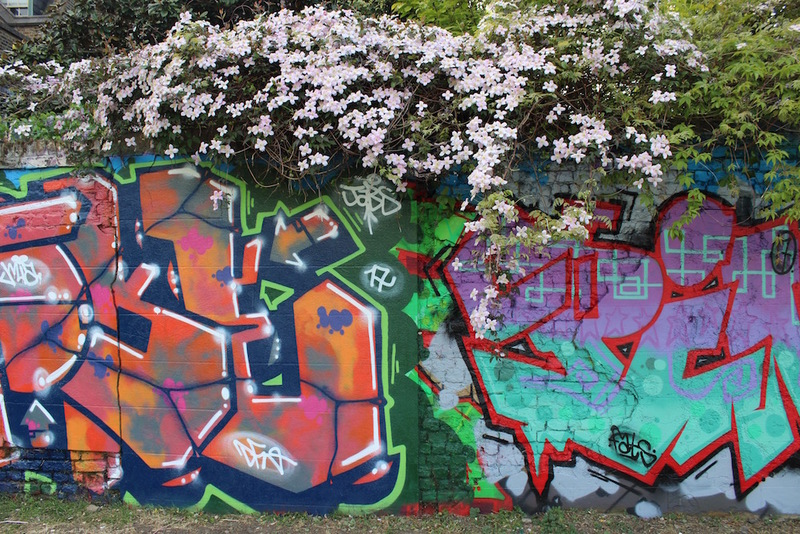 Its a relaxing way to explore the area away from the busy roads and you’ll find some great hidden gems along the way such as the cool Towpath Cafe by Whitmore Bridge. 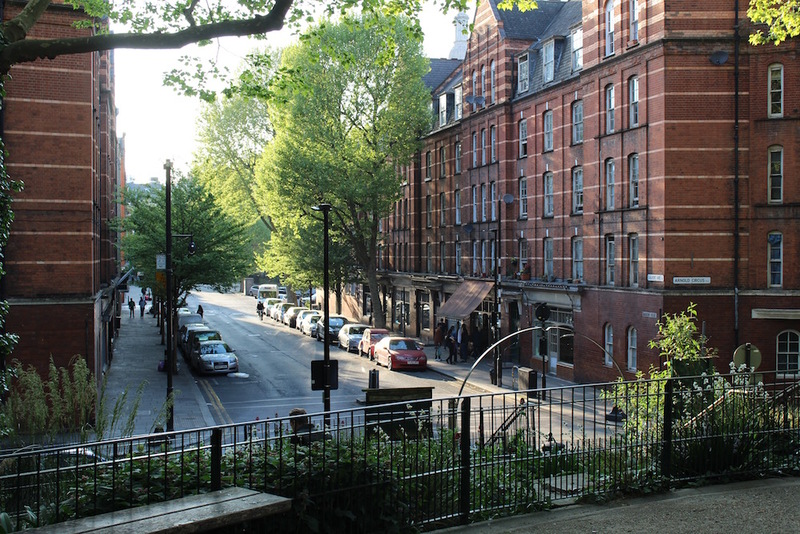 We hope you’ll pop along to see us at the ShopUp on the 6th/7th May and if you’ve any other suggestions for this fun part of town please add them in the comments below, we’d love to hear them! I love this guide! 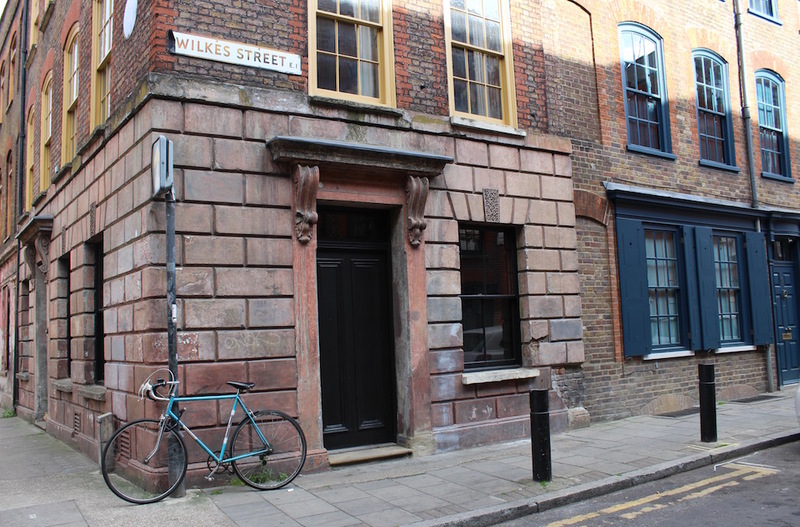 I have lived in London for 10 years and even had an office job in this neighbourhood yet you have still shared some gems I didn’t know about. Thanks!